As I step up into the float plane, I realize this might be the first time in my life when my tendency to travel light has worked in my favour. I’ve never flown in a float plane before, and I’m immediately struck by its size: compact and efficient with no wasted space — and no room for extra baggage. My heart is racing with excitement as the engine roars to life, and I feel the wind jostling the aircraft as we rise, on our way to explore the coastal fiords of the Great Bear Rainforest. I sit peering out the window, entranced, at a landscape etched from granite: mountains, waterfalls, blue-toned glaciers and uninhabited islands. I can see the shadows of dolphins playfully swimming below us. Grizzly bears and orca whales rule over these lands and waters, while the salmon set the pace for all life in this ancient wilderness. The plane banks and enters a narrow inlet, and the sound of camera shutters snapping fills the cabin as we set our sights on Nimmo Bay Resort for the first time. The landing is almost impossibly smooth, as if we’re gliding on a sheet of glass. My journey of discovery has begun. I had never been to the Great Bear Rainforest, so when Canadian Geographic offered to send me to Nimmo Bay with the iconic outdoor clothing brand Filson, I of course agreed to take the assignment, but first promised myself that I wouldn’t Google photos of the location or do any recon at all. I wanted to go in blind, without preconceived ideas, and be completely immersed. To celebrate the launch of their first Canadian store in Vancouver, Filson decided that rather than throw any old party, they would give a group of writers and photographers an immersive wilderness experience: two days in the rainforest, using Filson gear for its intended purpose — specifically, testing it in the climate of the Great Bear Rainforest. Upon landing, we’re greeted by Fraser Murray and family, who own and operate the resort. Nimmo Bay is one of the world’s first eco-lodges and I can see right away that we’ve landed in a paradise handmade with love. 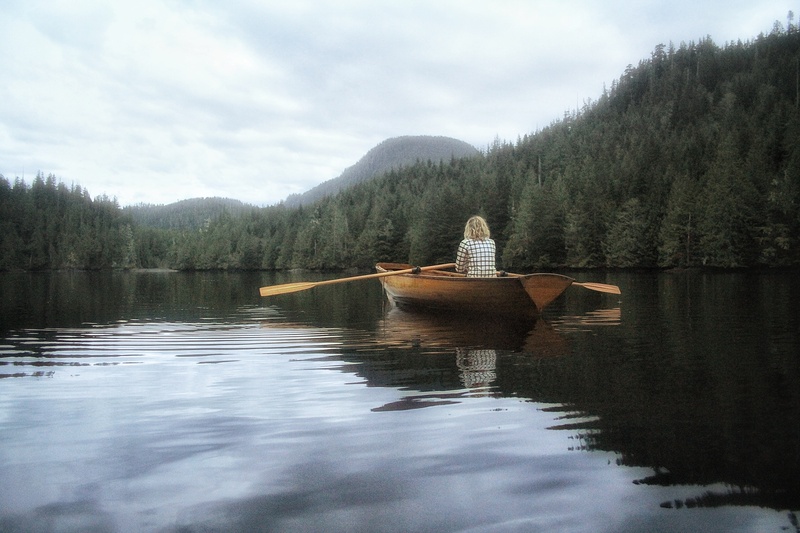 The people of Nimmo Bay share a strong bond with nature and have dedicated themselves to wilderness conservation, eco-tourism, culture, and sustaining what is real and beautiful. You can see first-hand the importance to the Murray family of the integration of the natural and man-made. The wooden chalets are beautifully designed and seem to float on the water’s edge. A cedar hot tub is strategically placed beneath, and in perfect harmony with, a towering waterfall. The lodge itself is filled with Indigenous artwork in the local style. A Pelton wheel turbine produces enough renewable energy to run the lodge completely off-grid. We waste no time getting our wilderness experience started. 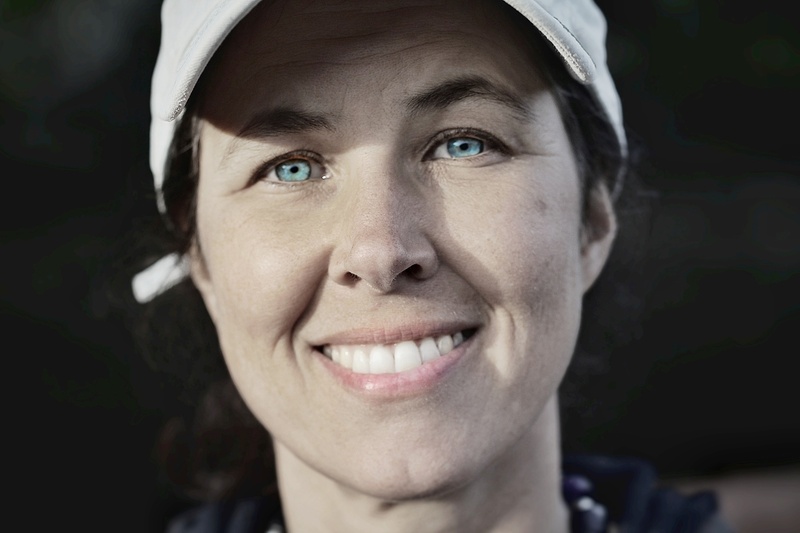 We take a few moments to settle into our lodgings and unload our gear, then reconvene for a guided wilderness forage with Nikki van Schyndel, an expert survivalist and author of Becoming Wild. Nikki is a gem. Nikki is mysterious. She lives in Echo Bay, a tiny inlet on Guilford Island in the Broughton Archipelago. She isn’t just an outdoors woman, she's a renegade survivalist who ditched modern urban comforts to spend 19 months living off the land in this remote rainforest. Badass, right? It’s rare to find someone you can just immediately trust, but Nikki has a presence and a contagious positivity that make her easy to rely on. As we walk along the shore, she talks to us about forest nutrition — what you can eat, and what will kill you if you do. We become like bears. I feel completely at home as we sift through the woods, picking greens for our dinner. During her time in the wilderness, Nikki survived with few pre-fabricated possessions. Everything she needed to live was made by her hand. 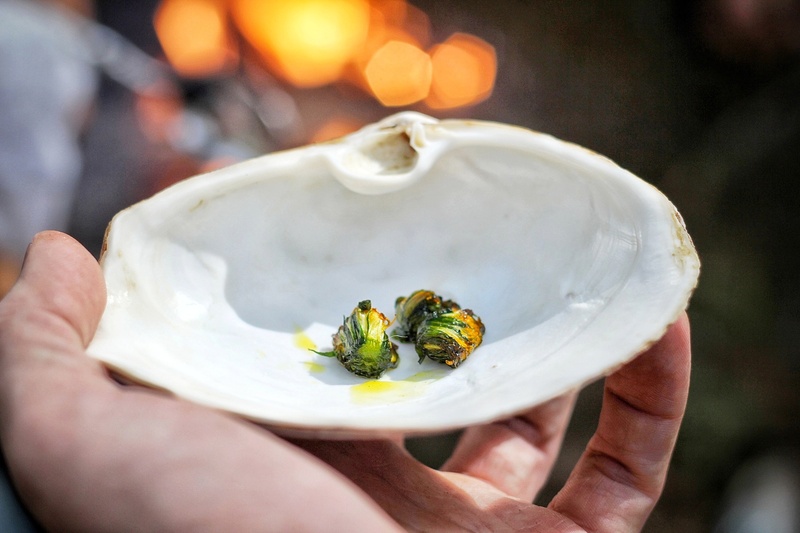 She demonstrates her fire-starting technique as she prepares pine-needle tea and a surprisingly tasty lunch of dandelions cooked in grapeseed oil, served in a seashell. As we eat, Nikki regales us with stories, like the time she was stalked by a cougar for days and how she once had to trap a bear. Her experience led her to a deeper connection with the living things that surrounded her, and through that connection, a renewed sense of self. Nikki’s words resonated with me deeply. As we finish our dandelions and tea, a breeze ruffles the trees and we hear the sound of whipping blades. I jump up and run to the edge of the woods just in time to see a helicopter soaring across the water towards us. The folks at Nimmo Bay have surprised us with an aerial tour. Everyone is vibrating as we climb aboard and rise above the pristine landscape we viewed from the float plane on our way in. This time, we soar over Kingcome Glacier and the glacial peaks of the coastal mountains. Our pilot is focused and confident as he deftly maneuvers the helicopter directly over the top of a mountain and drops vertically down the face of a cliff, leaving everyone wide-eyed and in complete awe. Dinner is waiting for us when we land, comprised of our freshly-picked salad, soup, and a crab feast. After dinner, we gather around a fire to learn about the local First Nations from K’odi Nelson of Seawolf Adventures. K’odi tells us stories of the Kwakwaka’wakw peoples, their ancient connection to this place, and their ongoing struggle to preserve their traditions and language. 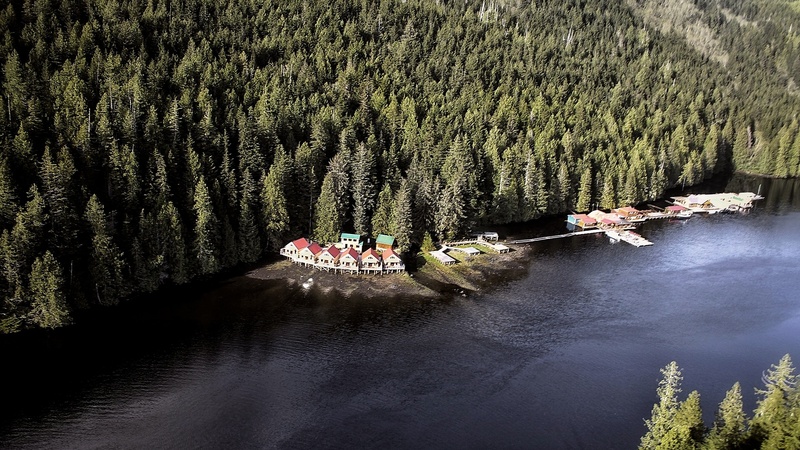 We learn that the resort is working with the First Nations of the Great Bear Rainforest and an organization called Sea to Cedar on conservation projects to help protect the things that make this region special. One of their priorities is ending the grizzly bear trophy hunt; another is an initiative to build a genetic database to conserve sockeye salmon. I notice that a common thread unites everyone involved in this trip: even those of us who are experiencing the rainforest for the first time share a mutual love for the natural world. I’ve always believed that when people experience this type of adventure together, it bonds them in ways that “ordinary” life cannot. There are things that can only be felt and can’t be put into words. That’s the gift you receive when you venture into unknown places and leave yourself open to the adventure of discovery.